Mr Khakwani just summed up the whole PTM ideology in very sensible and logical way. I totally agree that Achakzai is trying to milk the whole Waziristan misery in his own favour. Inshallah, just like TLP, Pashteen is going to finish soon as this movement has no solid standings. Excellent analysis.Achakzai is a major player in PTM movement.This traitor was rejected by Pashtoons in elections.He started PTM with funding from India. Very logical analysis. 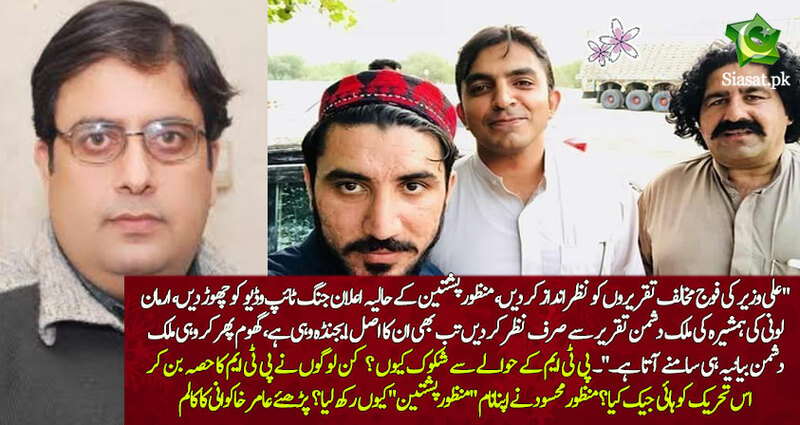 It helped to understand PTM phenomena. Thanks for sharing,. The only bad feeling after reading the article comes out is the issue is alive and seeming growing and I wish the writer should have suggested right steps to counter the issue or what the government is doing to overcome the issue. If someone may come out and narrate on the steps being taken to control the situation.